The Polish defender, who is currently with Slask Wroclaw, will join Neil Lennon's side in the summer. 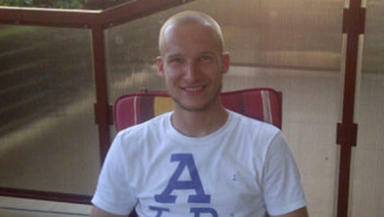 Celtic have signed Polish central defender Jaroslaw Fojut on a pre-contract agreement. Fojut, who spent five years in England with Bolton Wanderers before returning to his homeland in 2009, has agreed a three-year deal to move to Scotland, which will come into effect in the summer. The 24-year-old, who is yet to be capped by his country, will leave Polish side Slask Wroclaw to move to the Scottish Premier League. Fojut also spent time on loan in England with Luton Town and Stockport County during his spell at the Reebok. “I actually played against him when he was on loan at Luton for Nottingham Forest and often wondered what happened to him," Celtic boss Neil Lennon told the club's official website. "He was on loan from Bolton at the time and I was really impressed by him. So John Park and myself got talking, and his name came up again. We did a bit of homework on him since then. "I think he’s been in excellent form for his club this year and on the verge of international recognition. To get him on a pre-contract is a good bit of business again for the club. “He’s strong, technically good, quick, and he’s very good in the air. At 24, he’s at a good age. He had a bad injury and was out of football for around a year but it looks like he’s come back stronger than ever, and I’m pleased with the signing. “I think his all-round game is very good. He has been playing at a decent level of football from a young age but what I like about him is his physical qualities. "He already knows the British game, so I don’t think it will take him too long to adapt to the rigours of Scottish football." Fojut, who stands at 6ft 2in tall, has represented his country at Under-19, Under-20 and Under-23 level. He made just four appearances for Bolton Wanderers, with his sole outing in the English Premier League coming in a match with Portsmouth. His spell with Luton Town saw him play 23 times, scoring three times, while he made three appearances in a two-week period with Stockport.